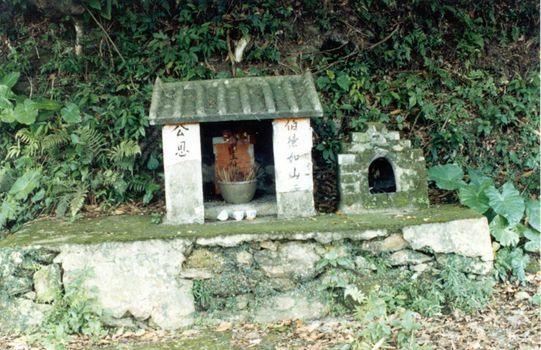 Until the 1990s, the village had some of the last vestiges of paddy in Hong Kong. 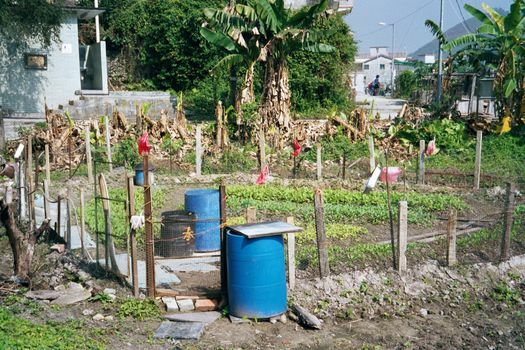 Hong Kong city folk are now reported as renting hobby-plots, the micro-version of hobby farms. 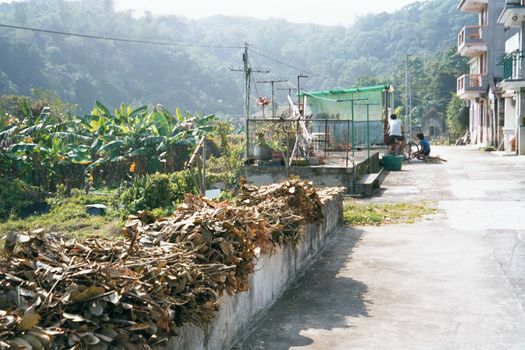 Some Luk Keng villagers still maintain garden plots. Bananas still grow on the flat land to the left; the paddy fields used to be over the hill in the background. 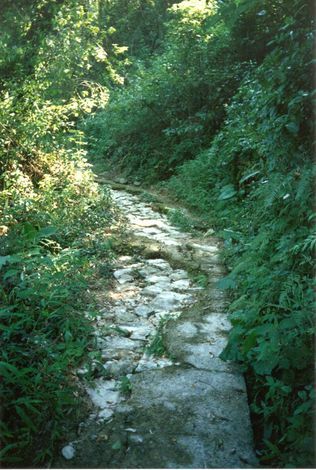 At the far end of the village, a rough path climbs through the forest covering that hill. 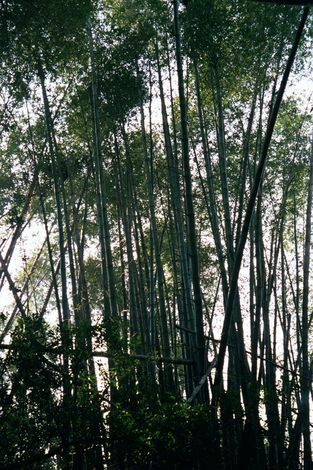 The path through the forest doesn't take more than two minutes to walk, but it's a little spooky, because of the creaking bamboo. 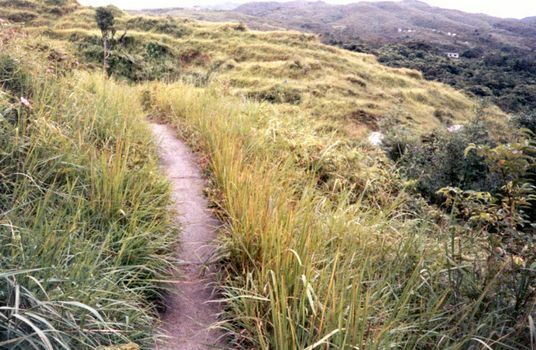 Up top, the forest opens to hills that used to be covered in paddy, which was irrigated by small ditches and carried by the headload down the path. A new but even more newly abandoned irrigation channel. In 1989, water burbled happily, though it was mostly unused. A couple of years later, the switch had been turned off, as farmers found better work a bus ride away. A dry-season photo. 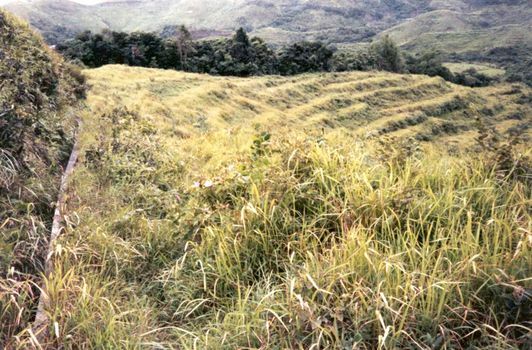 In 1989, there was paddy growing on some of these terraces, but it was weedy, neglected. 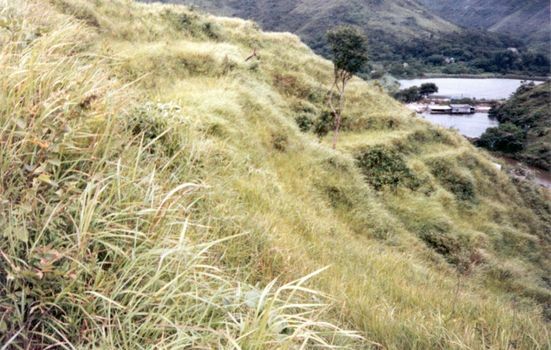 A few years later, there was no paddy at all, just weeds and slowly slumping terrace walls. One thing that didn't change. Whoosh! 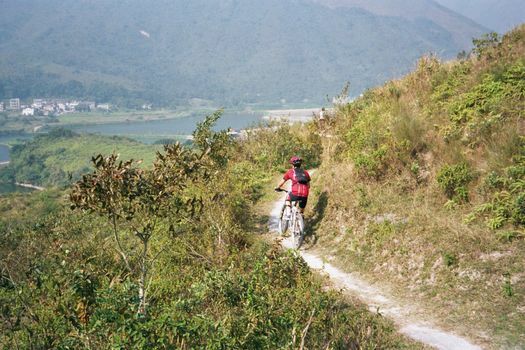 A couple of trail bikers whip past.